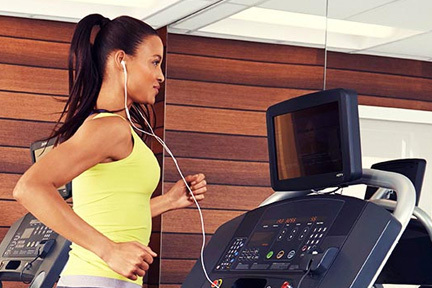 For the best workout, match your iPod playlist to your heartbeat. That’ll help you stay in the zone and exercise longer. It’ll also help you feel like you’re not working as hard – and makes you more coordinated, because you’ll be inclined to match your movement to the beat. The perfect songs will be between 120 and 140 beats per minute – so things like Rihanna’s “Umbrella”, or “Dancing Queen” by Abba.